Theresa May has refused to rule herself out of heading up the official campaign to leave the EU despite toeing the Conservative Party "renegotiation" line. Nigel Farage said he would be "absolutely delighted" if Theresa May was to lead the campaign but this surely has more to do with it tearing the Conservative Party apart and undermining David Cameron's leadership than her suitability or otherwise to lead the campaign. Putting a Tory minister in charge of the campaign to leave the EU would be a disaster. Labour supporters would never trust a Tory and neither would a great many UKIPpers. Theresa May disagrees with David Cameron's stance of staying the EU at all costs and she also disagrees with Nigel Farage's stance of leaving the EU at all costs. 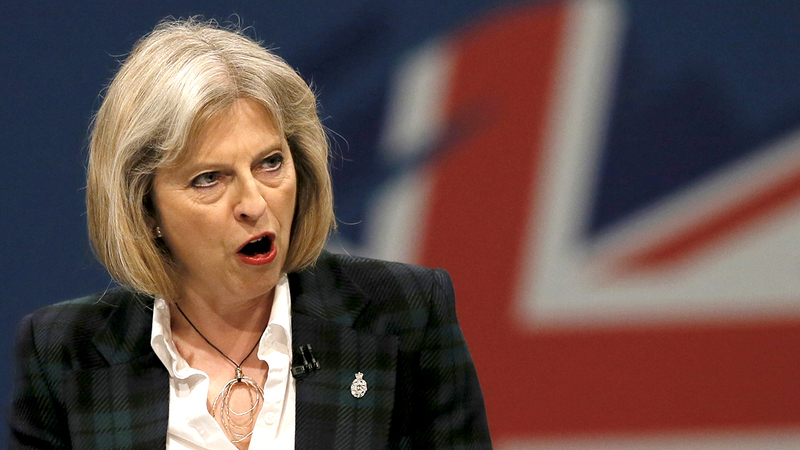 Like all senior Tories, she is a reformist who would accept some superficial concessions to maintain the status quo. The official campaign to leave the EU needs to be headed up by someone with a record of success in the private sector, someone the Guardian and Huffington Post don't hate and someone known for their business acumen and philanthropy rather than their political views. Most importantly, it has to be someone who is absolutely committed to the cause and not someone who will turn the campaign to leave the EU into a campaign to reform it. That rules out a lot of people - Nigel Farage included - but this is the only chance we're going to get and we need someone who can unite eurosceptics from across the political spectrum and be trusted not to sabotage the campaign.